I wanted to get a more local cap to be my go-to cap (my A’s hat, seen here, is my current go-to). Going through a thrift store I saw a rugby cap that had a good design and was pretty cheap, so I picked it up. Apparently I don’t know the teams very well because Waratahs are actually from Australia. Ooops! 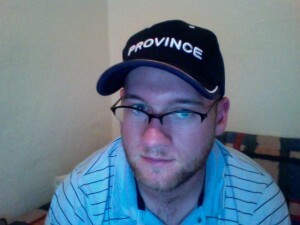 Maybe I should just pick up a Western Province cap, like this one. Yeah, sorry about that short comment limitation. Maybe there have been some comment spammers leaving very short comments? Stormers and WP are very similar. Stormers pull from WP and Boland, I believe, but WP tends to have better players, so they end up being similar sides.